Right-click here to download the episode to your computer! During Cat’s second pregnancy her husband made the decision to quit a “toxic” job in order to pursue his own entrepreneurial dreams. When Cat went into labor a month sooner than she expected, it threw them for a financial loop. 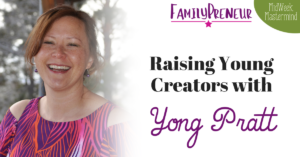 She describes how their family managed welcoming their second baby, and she still managed to take a maternity leave from her own business, all while losing her husband’s steady paycheck. Much of their balance comes from Cat’s talent at simplifying steps and putting plans in place to enable her to be lazy later. The Action Incubator is Cat’s business and it’s all about actions leading to profits. She helps entrepreneurs take focused action towards reaching their goals. 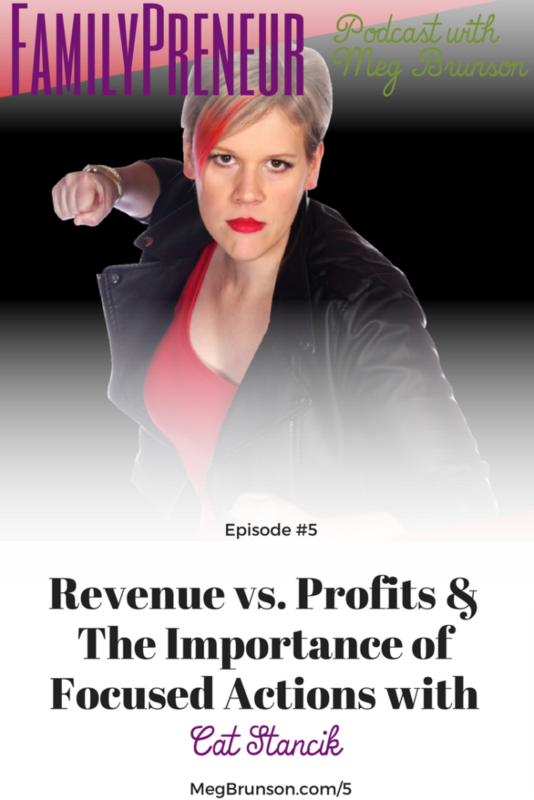 We discuss the difference between revenues and profits. Revenue is how much your business is creating, whereas profits are how much you are actually paying yourself. A lot of it has to do with how you are investing and what you are spending your money on. She has saved clients up to $56,000/year by evaluating the way clients invest. Cat recommends setting quarterly goals (as opposed to annual goals) and recommends that each quarter has one goal, one strategy, and one metric to measure that by. 90 days is just the right amount of time to make it feel possible, and give you enough pressure to put you into action. The goal should be uncomfortable enough that you want to work towards it, and work hard at it – but also within the realm of possibilities. Most of the information that you need to increase your profits is out there – but working with a coach provides accountability and helps you reach your goals faster. Her Branding is on point. Cat incorporates her personality and a love of movies into her brand and website. It’s fun, unique, personal, and amazingly well done. As she says in the interview: even if you have no interest in working with her, you should totally check it out! In episode number 4 we met Lisa Betts-LaCroix who gave us a sneak peek into her life as an entrepreneur surrounded by an entrepreneurial family. Lisa’s parents, husband and children are all entrepreneurial and we discussed topics related to homeschooling and tribe building. If you didn’t catch it before, you should go back and check it out! In our next episode I welcome Stacy Brookman to the podcast. 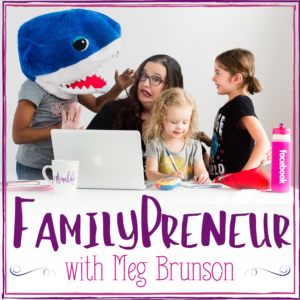 Stacy shares a shocking story of divorce and how her experiences leaving a sociopathic husband propelled her into entrepreneurship. We’ll also discuss the importance of giving children responsibilities, and allowing them to spread their wings, and FAIL. Stacy has an inspirational story, and a unique business that will benefit anyone with a story to tell – and believe me, we all have them! Subscribe to the podcast today, so you don’t miss that next episode! 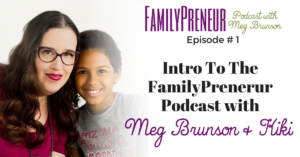 Meg Brunson has been marketing to moms for over 7 years. 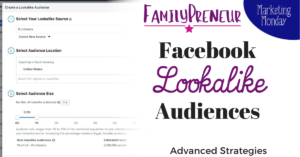 She is the founder and CEO of EIEIO Marketing, a digital marketing agency focused on Facebook Marketing for family-focused businesses. 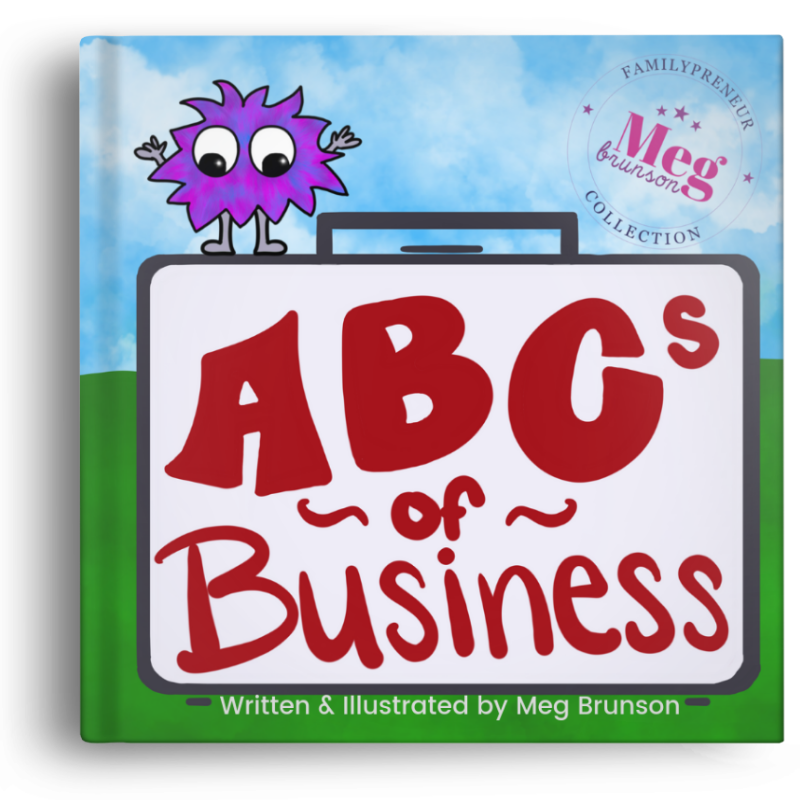 Meg is also a former Facebook employee with a passion for helping bootstrapped businesses figure out Facebook so that they can promote like the pros! She left the 9-5 in 2017, so that she could be the mom she wanted to be to her 4 young daughters.